A and D got a new sister! When I got the call from A and D’s mom, I thought I would just be coming over to do another session. Little did I know that since the last time I saw them, A and D became big brothers to a new baby sister. Not only that, D grew a head of curly hair! It was nice to see A and D again, and meet the new baby E. And can you believe baby E was only a few weeks old holding her head like that!!!! Say it ain’t so, summer’s have gone! This has been one of my busiest summers to date. Not with clients per say but we’ve been very busy ourselves. As you recalled summer kicked off for me this year with the workshop I coordinated in Detroit. 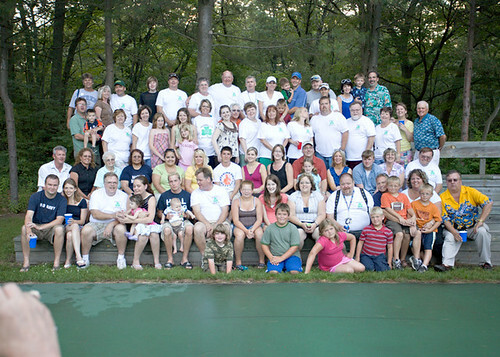 After that I was off to my family reunion. What does it look like when your mom has 12 brother and sisters? Oh and when the extended family comes from California (cousins). And I should note, not everyone was present for this photo! 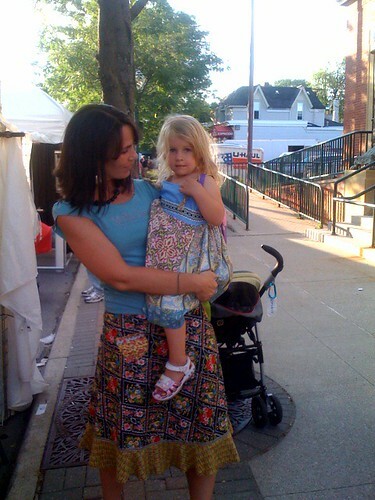 Then went sent my husband off to Minnesota for his sister’s wedding while I tackled the Plymouth Art Fair. For those that saw me, I’m sorry, LOL! For those that didn’t, let’s just say thanks to the crazy girls on the Matilda Jane board, I managed to buy about $5500 worth of Matilda Jane. I was in heaven with so much in my house. But alas it is all gone and shipped to it’s happy new owners. But nonetheless our frequent trips to Plymouth brought about a new friend for Madeline, Denise, Matilda Jane owner/designer/guru and overall awesome gal! And yes, Mads is in Matilda Jane, LOL! C even gave us some of those adorable (yet elusive) smiles! It was a pleasure to meet you C and all of your loving family! Like I stated before, I am offering up past session digital files with a donation to the 3-Day walk. I’ve decided to take it one step further and for the months of July and August, I will be donating 5% of your order total (minus tax, shipping, etc) to the 3-Day walk. The donations will go to support my mom, a 7 year breast cancer survivor, and her quest to walk 60 miles. So don’t hesitate to schedule your summer sessions TODAY! Get your family photos captured forever and give to a great cause!